How to become an ICF certified Coach? The Art and Science of Coaching is Erickson International college program and this program is designed to allow you to achieve mastery in coaching. Exclusive international keynote speakers. 150 coaching experts. As the world’s largest organization of professionally trained coaches, ICF confers instant credibility upon its members. 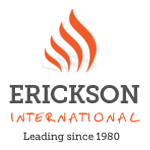 Erickson Coaching International is the worldwide renowned educational center which provides its participants professional training programs in coaching and human resources. Do you want to become a coach? Are you interested in coaching? Gain a certificate – proof of your professionalism! Do you want to be the best coach for your clients? Become a part of the largest coaching community which uses the latest knowledge from the world! As a part of this Workshop, we present programs we are the only one licensed to them in the Czech Republic. Coaching as a way of employment is becoming very popular in the world as well as in the Czech Republic. Therefore, do not hesitate to take the opportunity to acquire quality and certified methods from professional coaches from abroad. Gain some new knowledge and experience and get acquainted with the new methods that will become your key to successful coaching. The Art and Science of Coaching is a training focusing on developing the core competencies of professional coaches defined by ICF. During the training, we cover these topics – building a foundation, building relationships, effective communication, learning support, and working on goals. Upon completion of this training, participants can be certified as professional coaches of Erickson Coaching International. PCM (Process Communication Model®) is an innovative development model that allows you to understand the deep personality structure. This will bring your coaching to a new level which will be appreciated both by yourself and your clients. The PCM method helps the coach to recognise the structure of the client’s personality. It means that the coach can get closer to the client and help him in key areas of his life. – Why Art and Science of Coaching training is just for me? – How to use coaching skills not only in coaching but also in management? – How to become a certified coach? 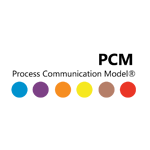 – What is the Process Communication Model (PCM)? – What are the benefits of issuing PCM assessment of a client? – How to recognize the deep personality structure of people? The workshop will be led by experienced coach Predrag Jovanovic. 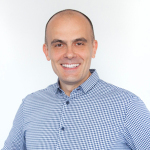 Predrag is a Professional Certified Coach (PCC) and as such is a member of the Erickson coaching team. He is also the NLP Master Coach (with the right to certify on behalf of the International NLP Association IA-NLP from Switzerland and the International NLP Institute of Berlin), PCM Certified Coach and the Master Coach (with the right to certify on behalf of the International Association of Coaching Institute – ICI). The price of our special workshop is 300 CZK. The price includes small refreshments. To sign up, click the “Sign Up” button and fill in the form that appears. For more information about the workshop please call +420 734 301 313 or contact us via e-mail at office@atriagroup.cz. Coaching skills for managers – develop them! Erickson College International is the worldwide renowned educational center which provides its participants professional training programs in coaching and human resources.